Next time your angry boss or spouse tells you to “Go to Hell,” you really can…that is if you can book a flight to Grand Cayman in the western Caribbean. 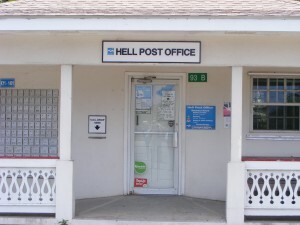 It’s the only place I know of (at least literally speaking) where you can find Hell on Earth. Don’t forget to send Mom a postcard….